As the saying goes, exceptions make bad rules. But in the case of pro-abort “Christian” Racist Held Evans, she uses a false exception to make a horribly bad rule. She plays on the sympathies of those with children diagnosed in utero with health issues. 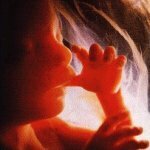 In her world, it is much better to kill the child right away because she might have serious health issues when born. That ignores that doctors and diagnoses are sometimes wrong (I’ve personally met several people who are glad they didn’t heed the advice to kill their children). It also ignores that God doesn’t permit mercy killings (then again, since when did pro-LGBTQX Mrs. Evans care what Jesus said?). But as bad as that is, faux-lifer Evans isn’t using that argument to make the case to ban all abortions except those. in her example She uses it to justify all abortions at any time, and to have taxpayers pay for abortions for those who can’t afford to kill their children. She piles evil upon evil. 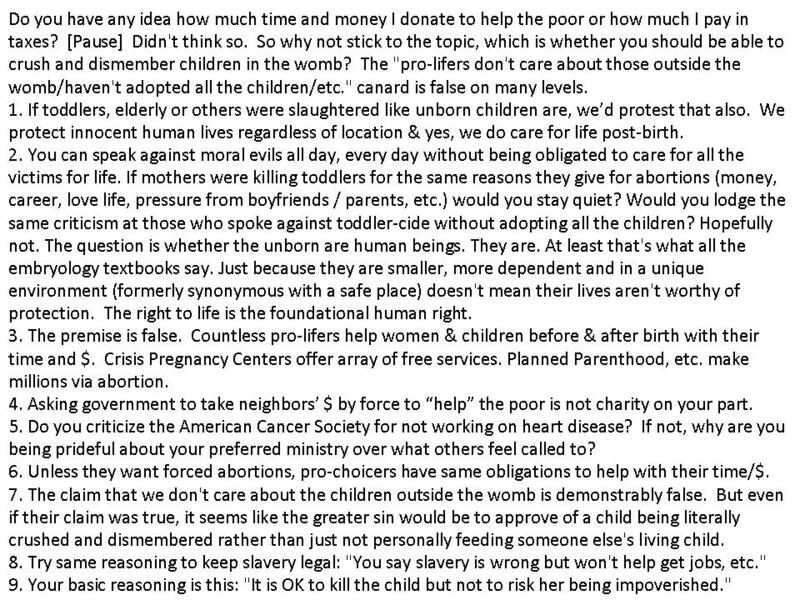 When pro-aborts make deceptive claims like that, ask them exactly which abortions they want to make illegal. Answer: None. And to make it worse, she virtue signals in her pro-abort Tweet. See, she is more righteous and caring than you because she would consider killing her child while you wouldn’t. The problem here isn’t that Held Evans is concerned with the quality of the child’s life. Held Evans is concerned about the quality of her own life. She — and other abortion supporters just like her — see children not as a gift from God made in the image of God, but as a burden. Further, a child that may need special care and extra attention would, in Held Evans’ eyes, decrease her own “quality of life.”This is the sickness of the pro-choice movement. You can’t call yourself a Christian while holding to anti-Christ beliefs. The gospel calls us to lay our own lives down, pick up our cross, and follow Jesus. Held Evans and the many pro-choice (or undecided) people out there have failed to see the goodness of God and the gift of salvation in Christ. They are, regardless of their claims, unregenerate and need the forgiveness of Jesus Christ found only through repentance and faith.